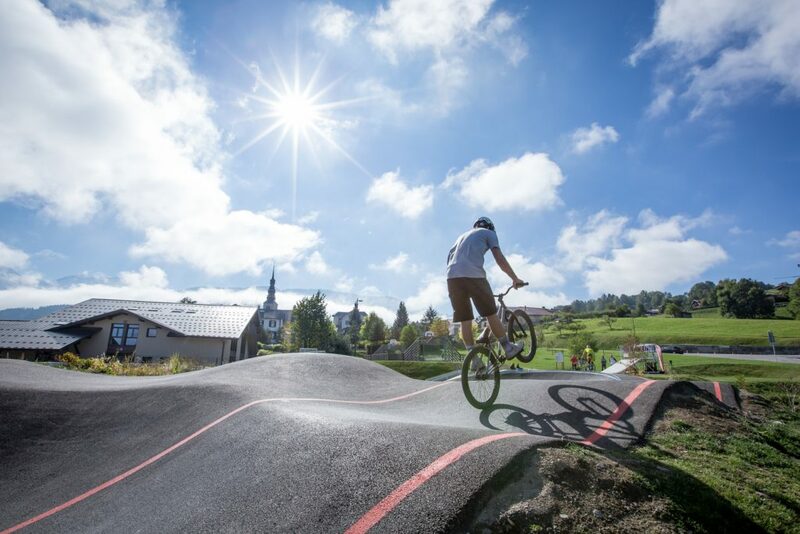 Construction of a pumptrack opposite Mont Blanc A great project set in a recreational area and supported by enthusiastic local officials. 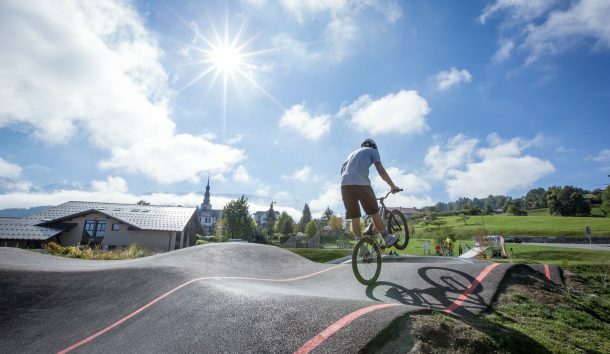 To breathe new life into an old abandoned BMX track, next to a skate park, town stadium and opposite Mont Blanc, what better than a fantastic asphalt pumptrack? 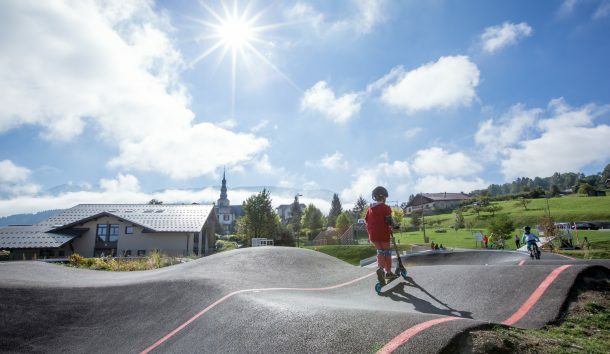 That’s what the municipality of Combloux decided to do! 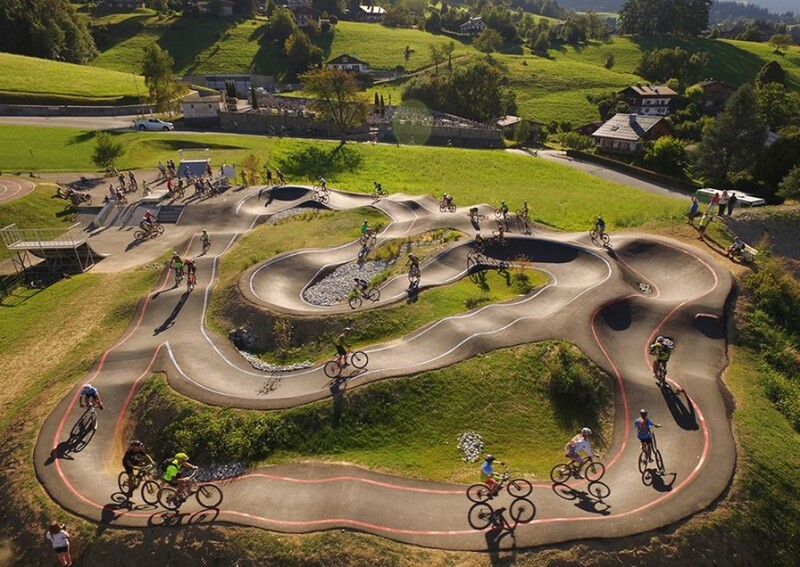 The design is an absolute joy: the 1200m² pumptrack is easy to use, with its two integrated levels of difficulty. 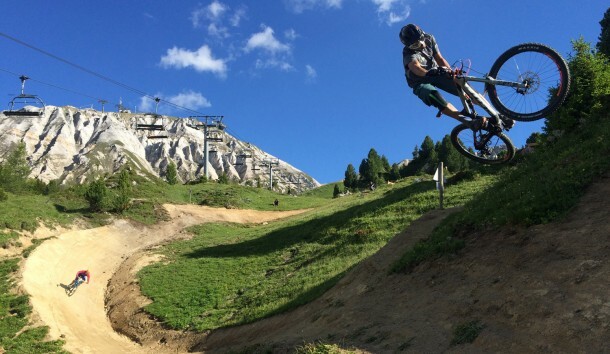 But if you look more closely, there are loads of transfer possibilities for more adventurous riders! 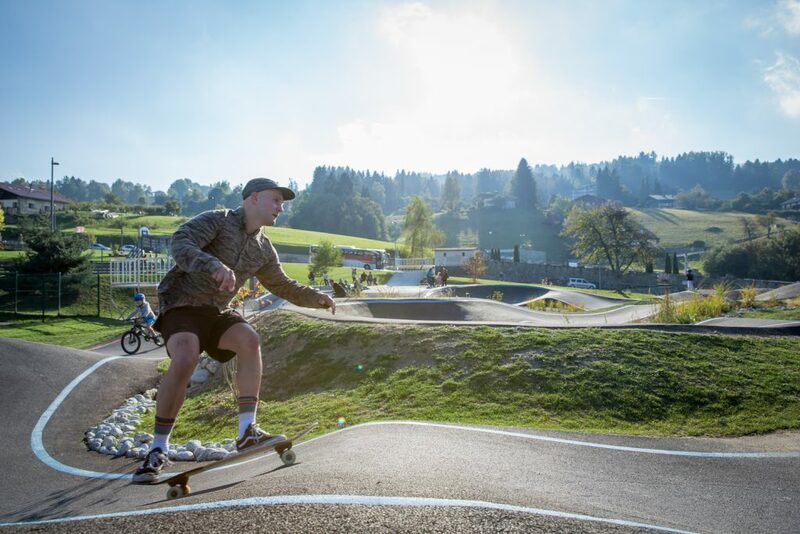 There are a thousand ways to use it, and the track is never empty. 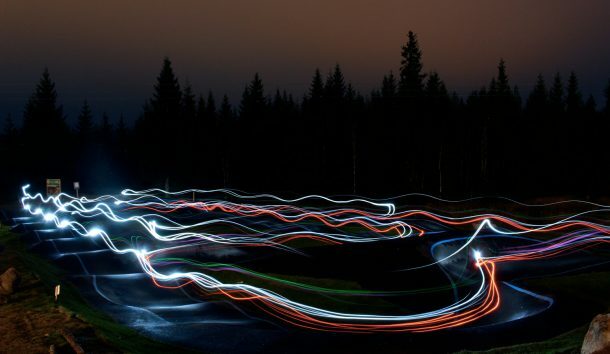 It’s one of our greatest successes. 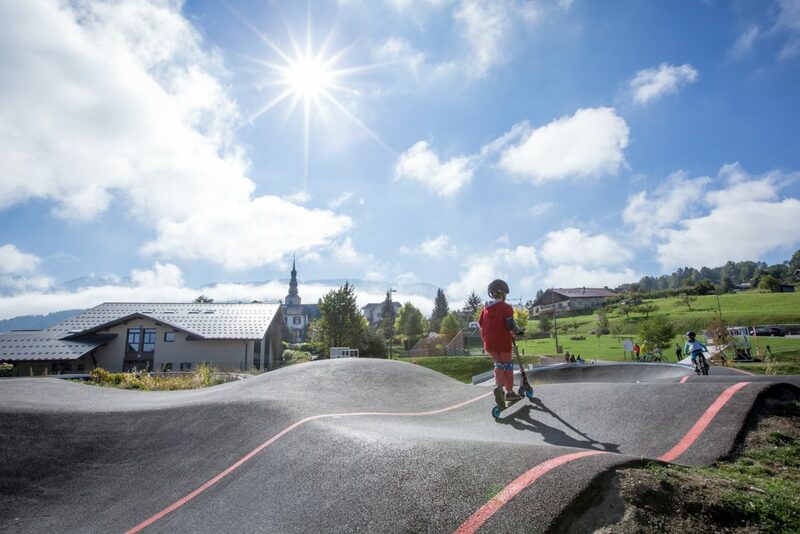 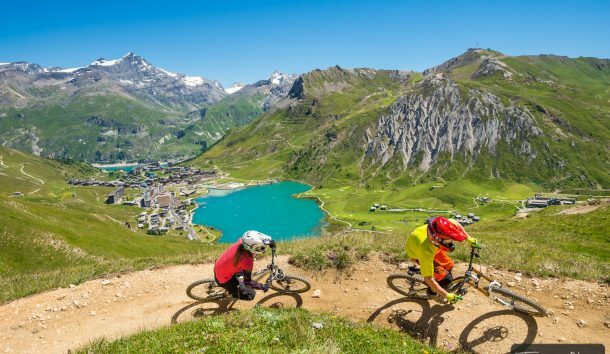 The location chosen by the town for building the pumptrack is ideal: close to a school, a skate park and a town stadium, all opposite Mont Blanc! 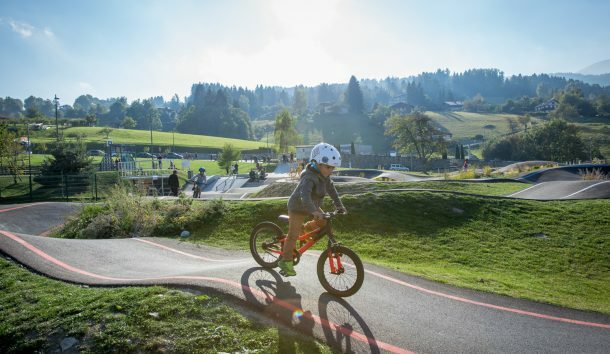 What more do you need to create a complete, attractive recreational area that can be enjoyed for its design ! 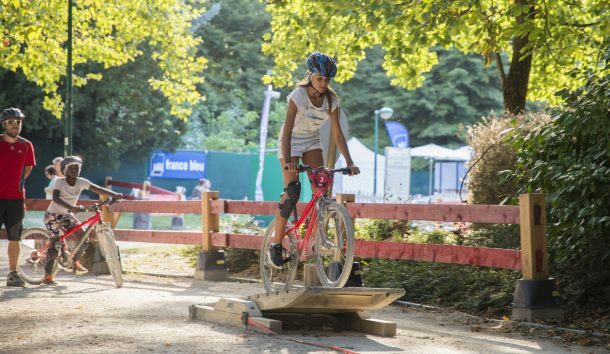 The result of great design are the smiles clinging to the faces of the riders!…Adults, kids, beginners, pro riders… Everyone enjoys themselves out on the Combloux pumptrack, whether on a bike, skateboard, skates or scooter ! 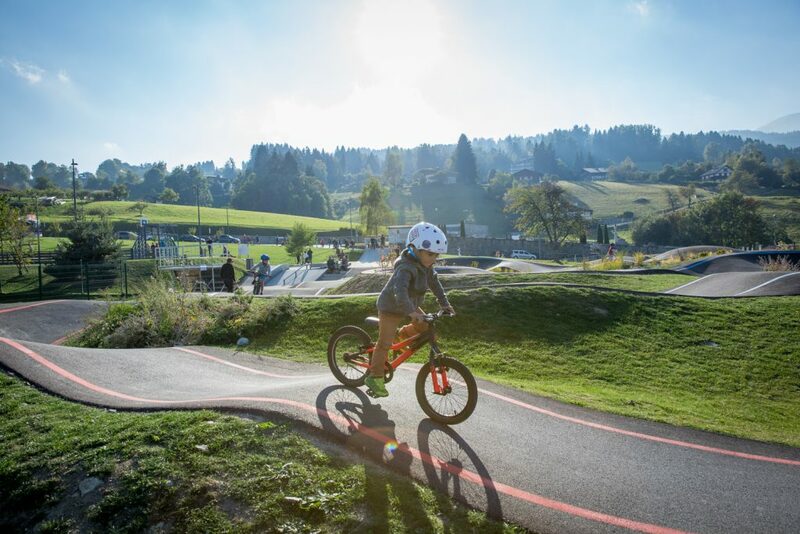 An ordinary day after school… When you’re told that the pumptrack is packed !